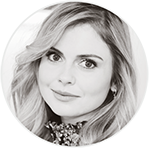 Welcome on the area dedicated to fans of Rose McIver! Here you will find many “derived products” solely dedicated to YOU. Through the description of her look during her photoshoots or appareances, via a newsletter allowing you to follow her news without losing time, and ending with a large database with many icons, avatars, wallpapers and much more… Enjoy! Did you ever met Rose McIver? Take a look at the fan experience and share yours! The first ‘iZombie’ fans awards organized and created by ourselves. During X days choose your favorite characters, episodes, moments around the show and much more. Have fun testing your knowledge about Rose McIver and enter for a chance to win the DVD of our favorite Rose’s movie ‘THE LOVELY BONES‘. Some fun goodies you will like!